October 13, 2010. A 16-year-old Ross Barkley suffers a double leg break. Doctors say he may never play again. May 12, 2014: After an impressive breakout season with Everton, Barkley earns himself a place in England’s World Cup squad and at the age of just 20 is hailed as the future of England’s midfield, following in the footsteps of Lampard and Gerrard. May 16, 2018: After just four appearances in the past year, Barkley isn’t even considered for the England squad despite his previous promise. October 15, 2018: Ross Barkley is back in the England squad and spearheads a midfield that puts three past Spain in what feels like a watershed moment for the National Side. Ross Barkley’s career has been one of many ups and downs, but given the fact he has been in the limelight since he was a teenager, it’s easy to forget he is still only 24 years old. At this fairly tender age, he has 40 goal involvements in his Premier League career, despite playing under a poor Roberto Martínez side for the majority of that time. As is common with the majority of promising English talent, it was only natural for Barkley to have a period of subpar performances, but nobody expected this cold streak to last for a whole year. After playing a vital role in the Everton team that nearly broke into the top four in 2014, Barkley, at just 20, made two substitute appearances and one starting appearance for England in the World Cup. Unfortunately, Roy Hodgson’s England ended up finishing dead last, one of the worst international performances from any Three Lions team ever. Over the next few years, Barkley’s Everton would finish 11th two seasons running, and although he barely squeezed into Hodgson’s Euros squad, he failed to make a single appearance before Iceland sent the Three Lions packing in the Round of 16. His luck picked up the following season under Ronald Koeman, picking up 6 goals and 9 assists as Everton ended up as the best of the rest, finishing 7th. After contract standoffs with his boyhood club, a hamstring injury, and a nearly-failed medical at Chelsea, it’s fair to say 2017 wasn’t Barkley’s year. Even when he got his desired move to Chelsea at what looked to be a steal for the Blues at just £15M, many wondered if he should’ve made the move across London to Spurs, after Antonio Conte appeared to have Barkley 5th in the pecking order of midfielders, behind Cesc Fábregas, Tiemoué Bakayoko, N’Golo Kanté and Danny Drinkwater. Barkley would finish 2017/18 with just 131 minutes in the Premier League. Towards the end of last season, a move to Spurs was looking like a missed opportunity for both parties. Barkley could’ve been in an environment where many young players have thrived and established themselves as some of the first names on Gareth Southgate’s team sheet, while Spurs could’ve added goals to a midfield that lacks depth dynamism in big games. Similar to what Luke Shaw mentioned earlier this season, it felt like England’s World Cup success was a vital learning curve for Barkley. Watching players that definitely don’t possess the technical prowess that he does in Russia was a huge wake up call. But more importantly, watching an England team that was exciting and also carried an aura of pride about them for the first time in Barkley’s career offered him inspiration, knowing that if he fulfilled his potential, he would one day have the opportunity to play under an England manager that understands how to manage young talent. It could be the pathway to Barkley having a successful international career; a possibility that would’ve never existed during Roy Hodgson’s dull spell as manager. The gateway into the England side is finally there for Barkley. If there was one thing that was lacking of England in Russia 2018, it was end product. What England’s midfield three make up for in work rate and pressing ability, they lack in creativity. At times, it felt like there was the back 5, and then just Sterling and Kane, with no intricate link up in between. 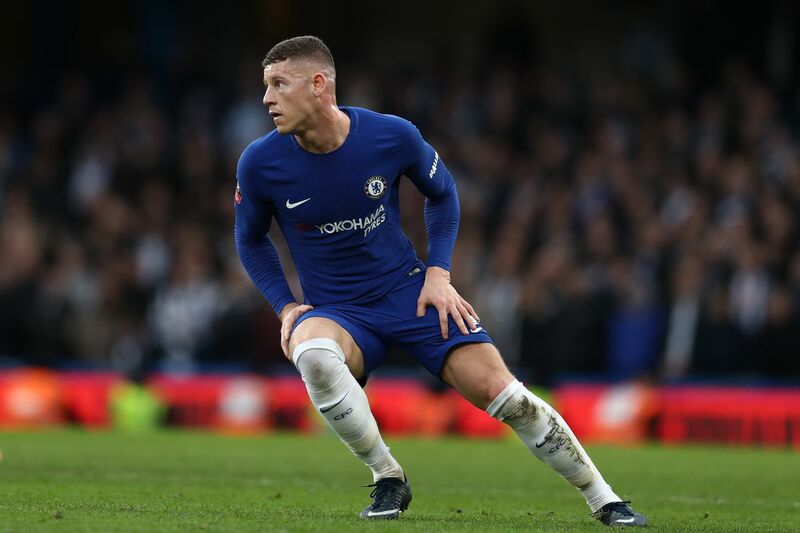 After the World Cup, many thought the solution would come through impressive teenagers like Phil Foden or Mason Mount, but why can’t it be Barkley? With four years of Premier League experience, excellent ball carrying ability and an elite level shooting range, all he needs is someone to believe in him, someone to give him the trust he deserves. Perhaps one of the most talked about aspects of the Premier League so far has been Chelsea’s midfield. Maurizio Sarri has reinstated a formula that worked in Napoli, which was placing Jorginho as the regista in order to break down defences from the base of midfield. He has not only adopted that here at Chelsea, but improved on that, having mere superhuman talent N’Golo Kanté to press high and turn over possession rapidly. With two of the best midfielders in football playing in Sarri’s central trio, the only thing left to decide is who will fill the Marek Hamšík role. Hamšík managed 30 goals and 26 assists during Sarri’s tenure at Napoli and offered shedloads of energy driving forward and creating chances in the final third. It would appear Sarri has brought in 3-time Champions League winner MateoKovačić to do that role, as the Croatian’s key strengths are ball control and ball-carrying, as well as physical prowess. Whilst on the surface, Chelsea’s midfield three may look to be at an extremely elite level, there’s no shying away from the fact it lacks goals. Perhaps this wouldn’t be an issue if they had three end product machines upfront like Liverpool or Man City, but they don’t, they have one. Albeit it is a very very special one, and that’s why many have argued there’s no need for Chelsea to have an attacking threat in midfield, but relying on one player is a dangerous game to play when challenging for the title. Faced with a need for greater end product, Ross Barkley might just be the medicine the doctor ordered.